Why not treat your child to a Birthday Party with a difference at The Suffolk Owl Sanctuary? The children will receive a guided tour, spend time close-up with the Owls, go on the S.O.S. Owl Safari, have a group photograph taken with an Owl, receive a special goody-bag and an Adopt-an-Owl Certificate for the lucky birthday boy or girl. Click here for an independent review! 12.30 p.m. Birthday lunch - please note that we do not provide food, but will dress the party room with balloons and bunting and provide birthday table cover, cups, paper plates and napkins. All children receive a goody bag and the birthday child receives a free owl adoption for one year. 11.00 a.m. Meet the Meerkats (or art based activity alternative). 12.30p.m. Birthday lunch - please note that we do not provide food, but will dress the party room with balloons and bunting and provide birthday table cover, cups, paper plates and napkins. 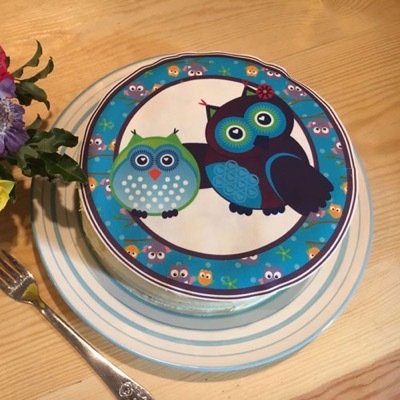 To book your birthday party with a difference, please call us on local rate number 03456 807 897 or e-mail us at info@owl-help.org.uk for further information. We request a deposit of £25 at time of booking, please. Click here for an independent review of a recent Birthday Party held at S.O.S.